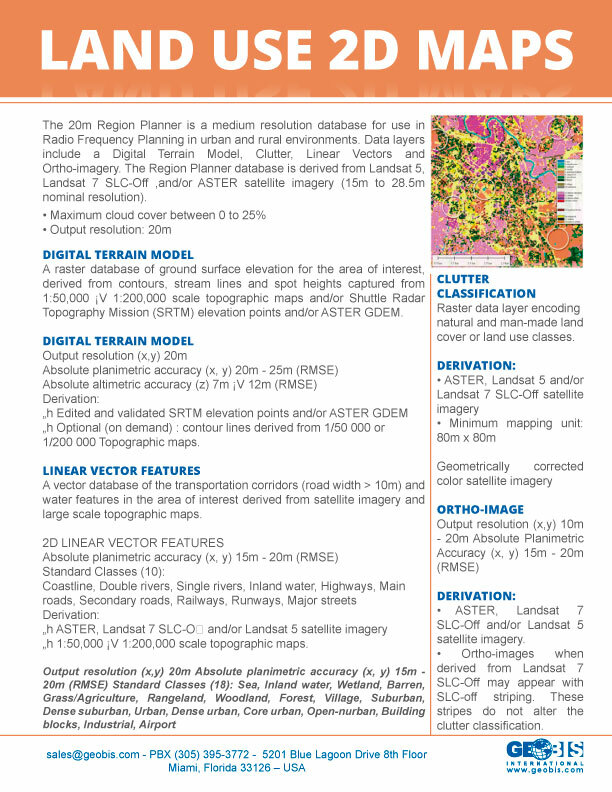 The Region Planner database is derived from Landsat 5, Landsat 7 SLC-Off,and/or ASTER satellite imagery (15m to 28.5m nominal resolution). 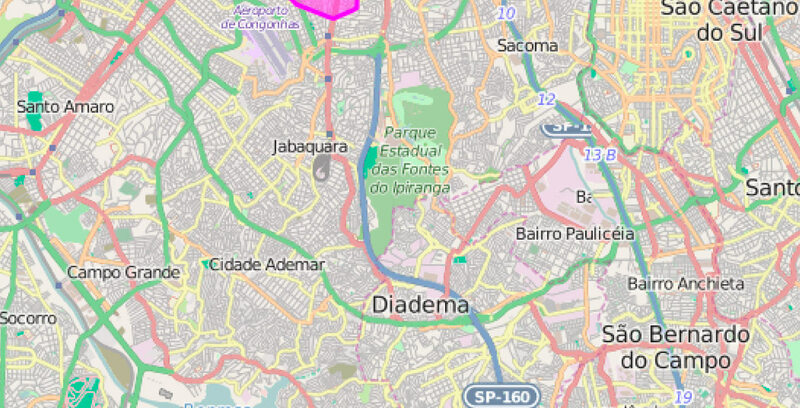 A vector database of the transportation corridors (road width > 10m) and water features in the area of interest derived from satellite imagery and large scale topographic maps. 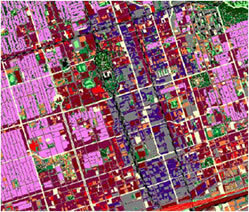 » Best available population counts from latest national census data. » Roads, weighted by distance from major roads. » Elevation, weighted by the presence of favorable slope conditions. 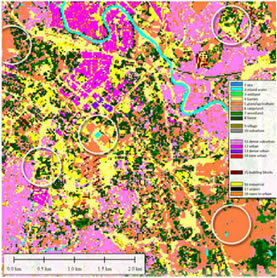 » Land Cover, weighted by type with exclusions for certain types. » Night-time lights of the World, weighted by frequency gain. » Maximum cloud cover between 0 to 25%.